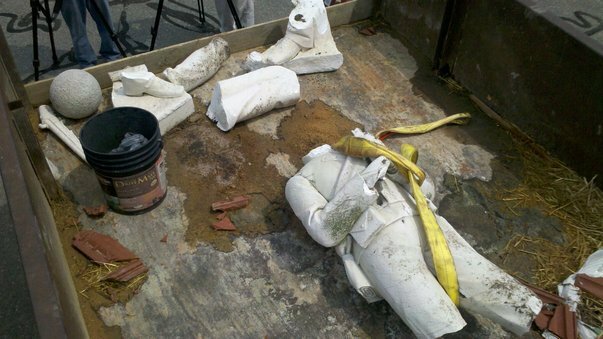 Home » civil war , confederate soldiers monument , north carolina , reidsville » Breaking News: Reidsville's Confederate monument smashed to smithereens! Wow. Better watch out, someone might want to post TSA by statues now because of this. Doubt it's anything more than just an accident. It's a real wonder that this hasn't happened decades ago already!! 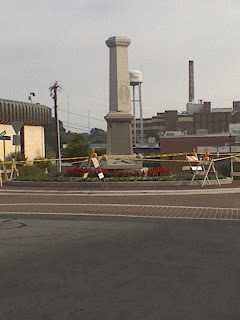 The monument sits in the middle of what's called Monument Plaza, with *nothing* in the way of barricade etc. to have prevented a collision at all. I've gone around the monument a hunnerd zillion times probably and every time, couldn't help but think it was too vulnerable. It was just a matter of time before an accident like this was going to happen. Glad to see it was an accident that caused the damage and not vandals - which was my first thought when I saw the headline. 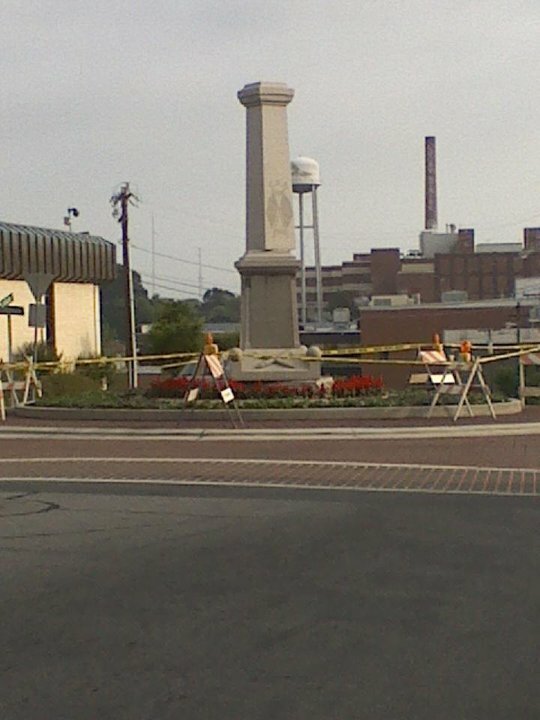 Born in Reidsville in 1945 and lived here all my life, this is first time I have heard it called Monument Plaza. This seems to be an opportune time to honor former City Manager Kelly Almond. I can see it now: a statue of Kelly Almond, emblazoned with "FORCED ANNEXATION FOREVER"
One friend suggested a statue of Dr. Fred Klenner, since his office wasn't far away and he achieved such worldwide err... "interest" in his work. However I've no doubt that the actions of son Fritz would put the kerbosh on THAT idea.